Using your computer at night leads to severe health risks as its strenuous to your eyes as well as it affects your sleeping habits. Studies have suggested that using devices emitting blue lights at night can lead to insomnia. 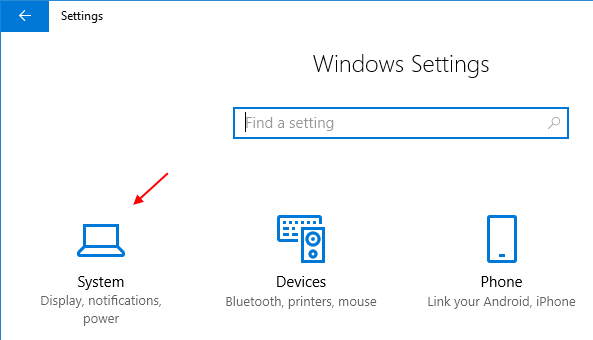 We can not stop ourselves from using PC , but Microsoft has come up with a solution for this. Known as Night light this feature automatically goes into night mode at night and thus it saves yourself from harmful blue light. 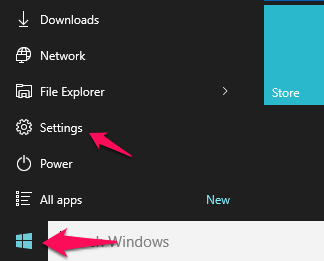 Step 1 – Open settings by clicking on windows start button in the taskbar and then clicking on Gear icon. Step 2 – Now, click on system. 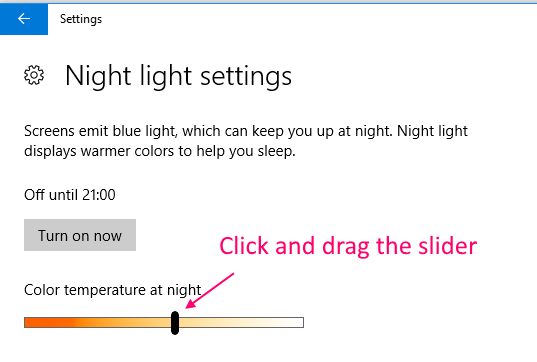 Step 3 – Now, Click on display from the left side of the menu and then toggle on Night light settings. That’s it. 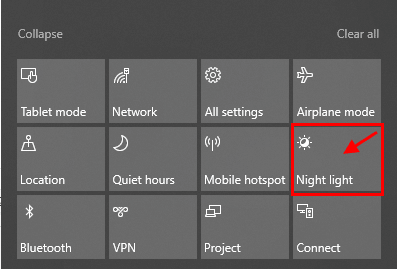 You have enabled the night light settings in windows 10 PC. There is already a default timings set based on your time zone and the location of yours from evening until morning. But, if you want to tewak the timings, here is how to do it. 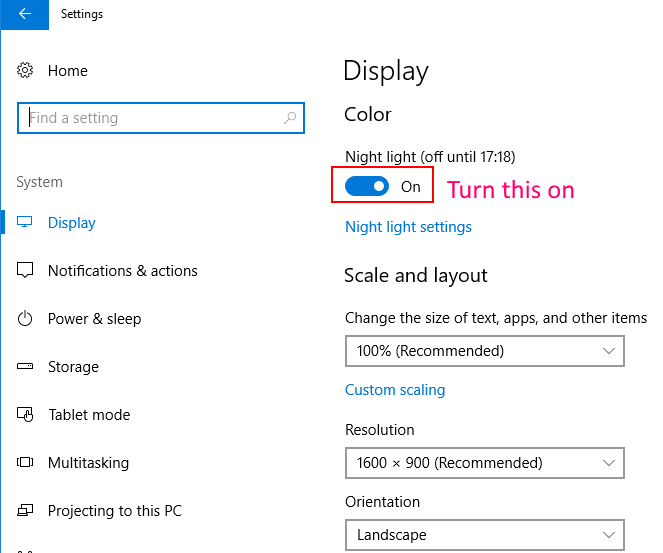 Step 1 – Go to Settings -> System – > Display and then click on Night light settings. 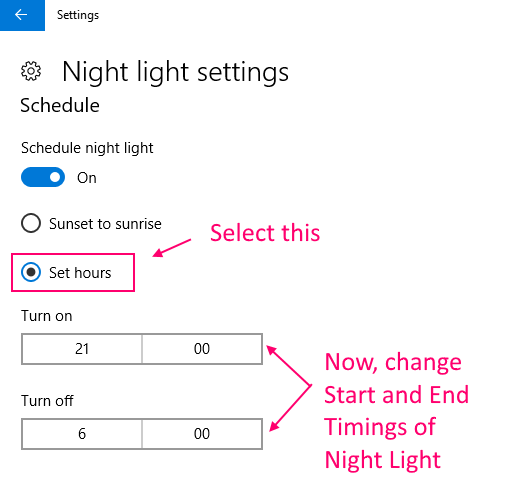 Step 2 – Now, first of all, select Set hours and then change the start and end timings of Night light settings. Step 2 – Now, just click on the slider and drag the slider left to right to see whats suits you best. Note that when you will click and drag the slider , it will instantly show you the color temperature that will appear by keeping the slider at that position. This tweak lets you turn on and off Night light instantly irrespective of the set time. 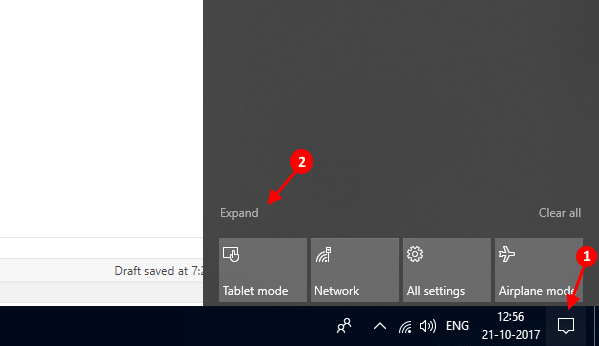 Step 1 – Just open the action centre by clicking on its icon on Taskbar. Step 2 – Now, just click on expand. Step 3 – Now, just click on Night light box and turn it on. Similarly to turn this off just click on it again.